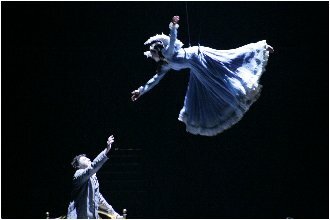 Yesterday, I attended the performance of Cirque du Soleil’s production of Corteo. It was, for me, a magical time. I’ve seen every show they’ve produced on Bravo and other channels. However, to actually be in the action made it even more special. I’ll have more about the show at some point, but here are a couple of images from the show.